Ever since I got my beautiful Tarot Charms from the lovely Julie of The Witches Coven, I have been wanting to have a play with them but then a house move got in the way. Now that we have all finally settled in and the kids are back at school, I decided to create a mixed oracle spread to use with these charms. Like for the Magpie Oracle spread I created a while back, I decided to use a random word generator but this time I decided to allow an oracle card from the Energy Oracle to give the central theme for the reading. 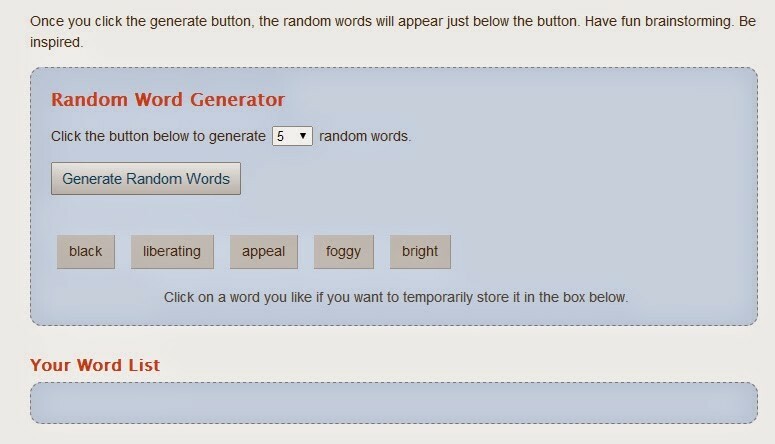 Below you will find a screen shot from the random word generator site. I wrote each of the words on pieces of paper, cut them out, mixed them up and placed them in random order on my reading cloth. I still had no idea what the reading would be about but as soon as I pulled the Energy Oracle card I knew – It is about my impending foot surgery which will all but immobilise me completely for a month and a half. You will find that the issue the oracle wishes to highlight becomes clear as soon as you make the association between the oracle card and what is happening in your own life. Black – The Fool + The Hanged Man: I fear this new Fool’s adventure which will immobilise me outwardly but may well see me moving forward with leaps and bounds on my inner, spiritual journey. Foggy – The Chariot: It is unclear to me exactly how much my mobility and ability to work will be affected at this stage. Bright – The World: I still have the world at my fingertips through my online presence… at least once the worst of the pain after the surgery subsides. I hope to be back to work one week after the surgery. Also, this looks like a bright promise of perfect bone healing to me as The World is connected with Saturn, ruler of Capricorn. Appeal – The Emperor: I will no doubt be making multiple appeals to my Aries/Emperor partner during my convalescence! Liberating – The High Priestess: I will have much time for reading, studying and contemplation… and yes, I will find this very liberating! I have piles of books waiting to be read and ideas for new areas of magick to explore… can’t wait! I hope you feel inspired to try this form of mixed oracle reading or to experiment to come up with your own. I find that reading this way brings deep insights in addition to being lots of fun, thanks to helping me think outside the box. Hope you have fun trying this out and let me know how you go!